Some in the White House advocate a pared-down approach that requires fewer troops and greater emphasis on drone attacks on insurgent leaders. These officials would like to see an accelerated withdrawal of U.S. troops. “Who’s that?” That is, sounds like that’s who that is. 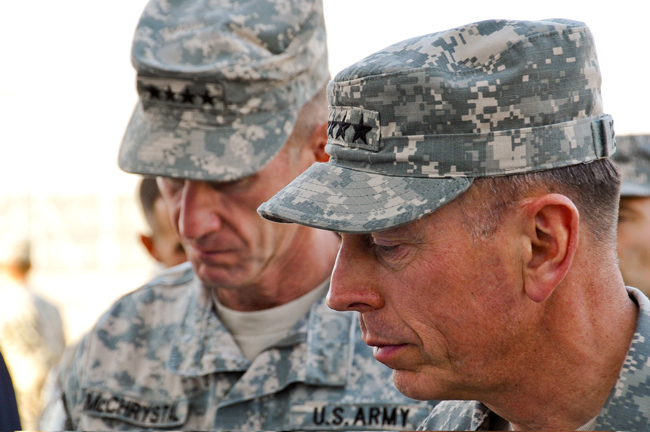 During the Iraq surge, Gen. Petraeus proved adept at parrying suggestions for a rapid withdrawal and won time to show his strategy could work. Since then, of course, the surrender enthusiasts got voted into the White House. Makes it more challenging. Especially when they see their political interest, which is to say their primary strategic goal, lying mainly in exit, not success. People close to Gen. Petraeus said he is unlikely to try to persuade the Obama administration to back off its promise to begin drawing down troops in July 2011. But they do expect him to privately push for troops to be removed slowly, along a timetable that keeps a large force in Afghanistan. An effective counterinsurgency strategy can take years, and it remains unclear whether Gen. Petraeus’ approach will work in Afghanistan, where volatile tribal politics, a lack of infrastructure and rudimentary local security forces pose significant challenges. I don’t know. The first challenge is to make it work in a Democratic White House, where volatile partisan politics, a lack of experience and an at-best rudimentary grasp of security issues …. 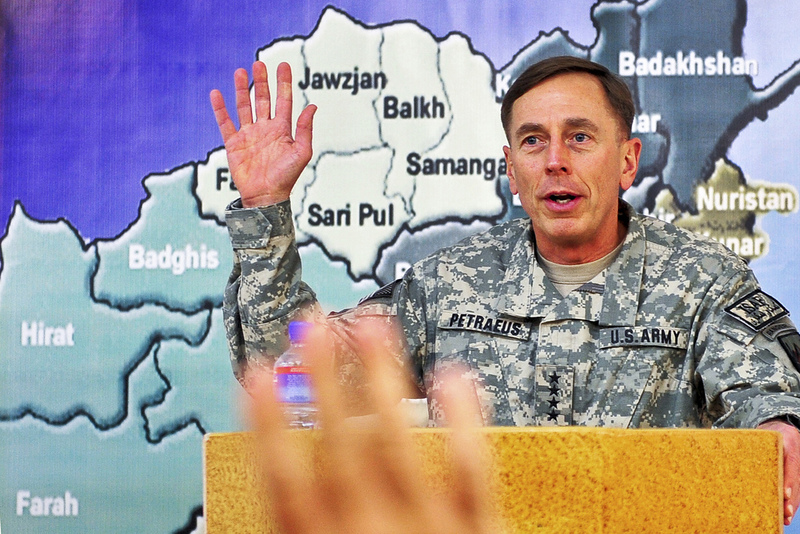 If anyone can, it’s Petraeus. Obama’s default choice to squelch military insubrdination, a sort of military bigfoot who may have the ability to prevent him and the rest of the current civilian leadership from losing this thing. NYT, meanwhile, notes that the deadline strategy is a bit of a “double-edged sword.” Goes on to note that confidence is failing, pols and allies shuffling for the door, but fails to connect the dots. A deadline strategy is less of a double edged-sword than a self-fulfilling prophecy. When the leader of the free world has indicated he doesn’t particularly give a damn whether we win this thing or not, why should anyone else? NYT: Six Afghan police officers beheaded. AFP: Women in northern Afghanistan retreat behind the veil in fear of Taliban revival. Guardian: International aid conference underwhelms a jaded Afghan blogosphere. KABUL, Afghanistan — The Taliban denounced this week’s international conference on Afghanistan’s future, saying the “vague and terrible agenda” shows that the U.S. and its allies intend to abandon the country and blame their ultimate defeat on the Afghan government. In a statement posted in English on their website, the Taliban said the conference showed that the U.S. “has lost the initiatives and is unable to resolve Afghanistan issue.” The statement was distributed to news organizations by the SITE Intelligence Group that monitors extremist communications. “Whatever actions are taken in this regard have already been doomed to a failure,” the statement said. “It is evident from the vague and terrible agenda of the conference … that America and the international community intend to pull out of Afghanistan” and blame “all the coming destruction’s, humiliation and defeat on Kabul puppet regime,” meaning the Karzai administration.